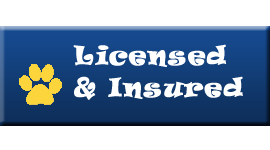 Robin’s Nest Pet Care strives to provide each and every one of our furry clients with the best in personalized care. 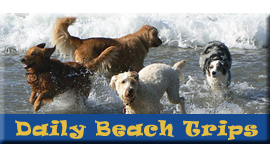 For dogs staying at Robin’s Nest, this means plenty of excercise and play with other dogs and the freedom to roam about a big back yard all day. 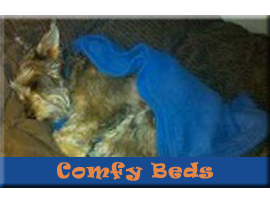 It also means having plenty of comfy doggie beds to choose from when they get tired. And it means never having to spend time in a cage. A life long pet owner and lover of animals, Robin considers my pets to be part of her family. 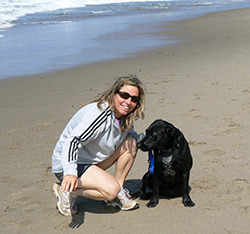 She is an avid sports enthusiast and enjoys running trails, the beach and biking. 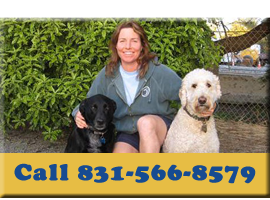 Robin often takes one of her canine campers for a bike ride or trail run in one of our beautiful natural areas here in Santa Cruz. In 2005, she completed her first marathon with Team in Training which benefits individuals with cancer.